Richard is an experienced banking professional who currently serves Fifth Third Bank as a business banking market manager. In this role, he leads a team of relationship managers who advise, consult, and serve clients and prospects throughout Northeast and Northwest Ohio. They are focused and experienced in delivering exceptional support by taking the time to understand each client’s unique business objectives. Each client is aligned with the right solution(s) considering current and future objectives. Mike oversees transactions, deposit solutions, financing for commercial real estate, lines of credit, and equipment for clients who typically generate up to $20MM in revenue and require credit facilities up to $3MM. He is committed to always deliver a Fifth Third better banking experience, and strategically partner with clients that leaves a positive lasting impact on all of the communities that Fifth Third serves. 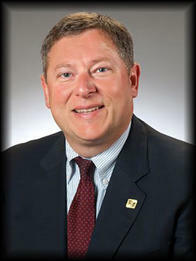 Richard holds a bachelor’s degree in communications and a minor in business from Baldwin-Wallace College. He resides in the east side of Chesterland with his wife, son, daughter and their dog, Annie. He enjoys skiing and being outdoors. Richard stays active with his children who play baseball, softball, football, and volleyball. He is active in his community as well serving as board president of Centers for Dialysis and board member for Growth Capital, a CDC in Cleveland. Richard is also past president of Euclid Chamber of Commerce, board member of Euclid Hospital ER expansion, and an Eagle Scout.